Few things leave a longer “paper trail” than financial transactions, but thanks to the rising popularity of mobile banking options, it doesn’t have to be that way anymore. 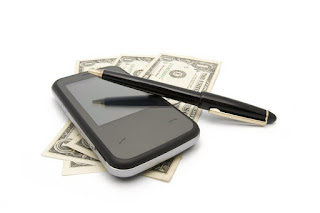 Community Financial offers its members several ways to “go green” through mobile banking options, as we discussed in last week’s Money Matter$ blog post, and online bill pay is arguably a service that fosters an earth-friendly alternative to paying bills with paper checks. Online bill pay allows members to pay all of their bills online or through our new mobile app from their Community Financial checking account. This saves time, creates an electronic payment history, and deletes mounds of paper that usually go along with paying bills. For paying bills, customers have two new options. “Members can do either one, whether they chose to sign in through our eBanking online banking site and use full bill pay, or through the mobile application to quickly pay their bills, both are very convenient,” said Art Beard, Community Financial VP of Information Technology. · Make payments to businesses, individuals, or other financial institutions. As Beard explained, person-to-person payments are particularly convenient, as all you need to do is set up a friend as a payee through an email address before sending them a special link and making a payment to them through your account. Mobile app users should note that payees must be established in eBanking beforehand, so that payments can be made on the go through the app later. And of course, all payments are safe and secure through Community Financial’s servers. To begin or to learn more, visit the ePay section of our website. Community Financial also offers advice help lines including our eBanking Helpline at 877-937-2328 and our ePay Support Center at 855-397-4254. We hope you enjoy the mobile banking experience and find it as helpful as we do!